Nebraska Pastor Hank Kunneman of One Voice Ministries said in a recent sermon that God would respond to the Tree of Life synagogue massacre in Pittsburgh by… curing cancer, Alzheimer’s, and diabetes. Somehow. Kunneman prophesied that President Trump would “join hands” with Israeli Prime Minister Benjamin Netanyahu to bring to the world “medical cures and scientific discoveries” that have been created in Israel. 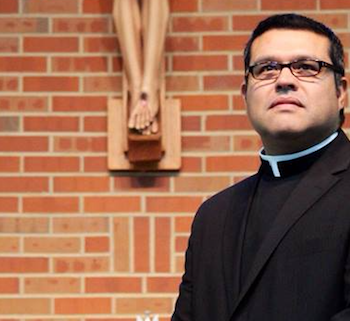 This should be a pretty easy thing to fact check… but if you’re the type of person who attends Kunneman’s church, you’re probably not the type of person who can do basic logic. If there ever comes a day when we can wipe out diseases, it’ll be thanks to scientific breakthroughs, not God trying to make amends for letting a dozen Jewish people get slaughtered. What a horrible lie to tell a bunch of people who attend church to get whatever hope they can find. 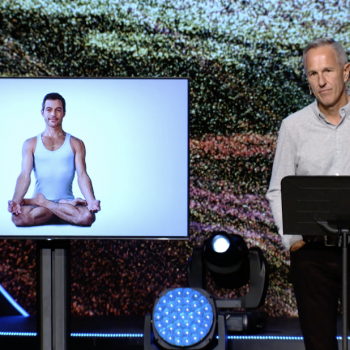 Megachurch Pastor John Lindell: Yoga is Evil "Because Hinduism is Demonic"